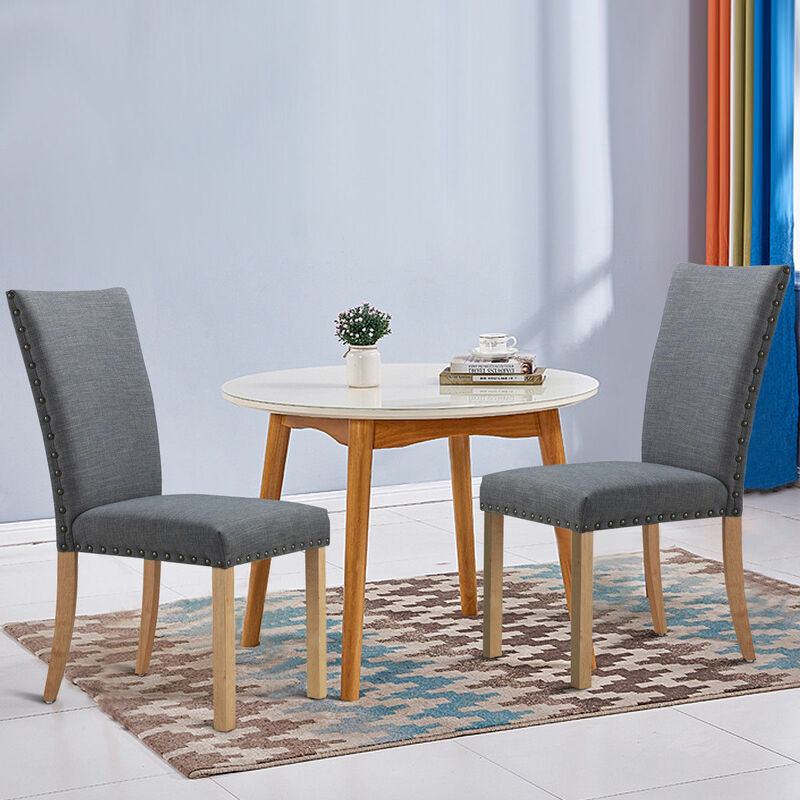 The elegant dining chairs gives you sense of safety and comfort in many terms. Sturdy and durable natural-color rubber-wood forms a solid frame of the chairs, and a soft, thicken sponge cushion gives you better support for your body. For your greater experience, we design and adjust the angle between the back and seat cushion. At last, the gentle fabric cover protects your skin. In all, you will get the best feeling when you have a rest by sitting on the chairs. If you are host of a hotel or chef in a restaurant, the dining room can also be a good choice for you. Chairs' nailed trim and graceful curve are enough to leave a good impression on the customers. Don't hesitate to buy it!